Gaze is an important tool for social communication. Gaze can influence trust, likability, and compliance. However, excessive gaze in some contexts can signal threat, dominance and aggression, and hence complex social rules govern the appropriate use of gaze. 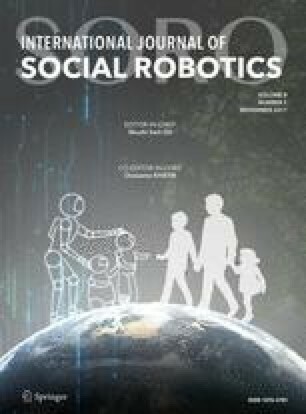 Using a between-subjects design we investigated the impact of three levels of robot gaze (averted, constant and “situational”) upon participants’ likelihood of trusting a humanoid robot’s opinion in a cooperative visual tracking task. The robot, acting as a confederate, would disagree with participants’ responses on certain trials, and suggest a different answer. As constant, staring gaze between strangers is associated with dominance and threat, and averted gaze is associated with lying, we predicted participants would be most likely to be persuaded by a robot which only gazed during disagreements (“situational gaze”). However, gender effects were found, with females least likely to trust a robot which stared at them, and no significant differences between averted gaze and situational gaze. Implications and future work are discussed.